Despite the ominous weather England has experienced over this festive season, the clouds gave a small break today and I managed a walk along Southsea seafront, which helped clear my mind and get my body moving again after many days of eating, drinking and sitting around! The effects of the recent stormy weather and very strong winds were apparent right along the shoreline. 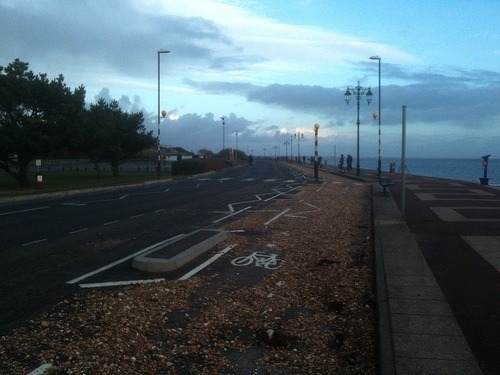 The main road following the seafront was closed off, with parts of the promenade and road covered by shingle and debris which had been blown or washed up from the beach. The sea was still quite choppy, with occasional large waves breaking over the sea defences and splashing the unwary passers-by. 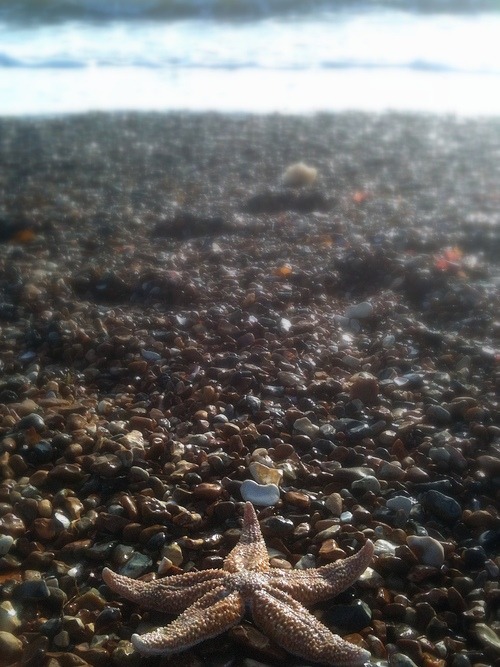 Several starfish, sadly dead, were also strewn over the beach. 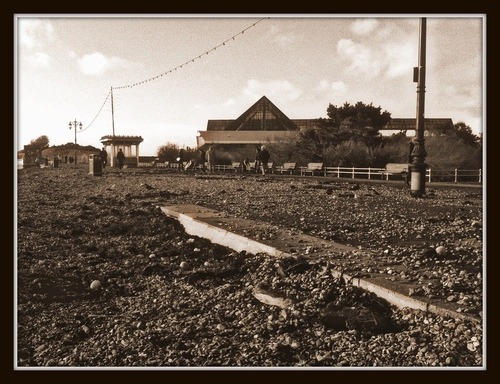 Workmen were already at work, starting to clear the road and move pebbles back to the beach. It was odd to see the tangible effects of the power of nature, but perhaps a shake-up is good once in a while. It can make you appreciate things all the more, and provide a fresh canvas for new ideas. It was good to get out for a refreshing walk and catch the rays of sun while they lasted. It might have only been me, but I’m sure there was a relaxed feeling permeating the air, a kind of post-celebration happiness. It’s been nice to have some time off, but I’m feeling ready to get stuck back into University and finish off the year. A shift back to a working routine will be good for my studies, as I need to focus. This is it, my final term. Ever. I must do well!